Razifah deposited $2000 in an account at rate of 3.75% simple interest. 8 months later, she deposited another $3000 into account. Find the total amount in the account three years after the first deposit. You can see the lesson on simple interest to learn more about this formula. 1) Find the total amount after 8 months. Therefore, the total amount in the account three years after the first deposit is $5491.88. It was not mentioned that the first deposit will be removed or will not be counted after 8 months. The principal amount after 8 months must be $5000 already. The correct answer is : RM5487.50. 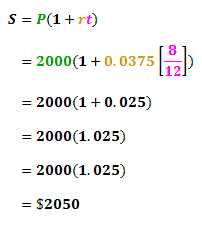 First part is the calculation of S on P= 2000 at 3.75% for 3 years which is the answer is RM2225. 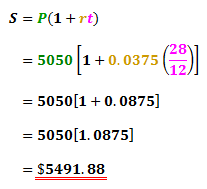 second part is the calculation of S on p=3000 at 3.75% for 28/12 years which is the answer is RM3262.50. i pay the post office rd monthly 500 . after 3 years how much interest ,net total amount, interest percentage how? 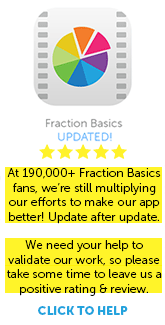 i need .please mail me calculate amount ?